Urna Chahar-Tugchi was born into a family of livestock farmers in the grasslands of the Ordos district in the Southwest region of Inner Mongolia. Today Urna is regarded as one of the most outstanding female vocalists of Asia. Based in Bavaria, Germany, Urna continues to carry the spirit of her homeland in her music as she performs around the world. Urna's developed her musical talent and instincts while learning the Yangqin (Chinese dulcimer) in Hohhot, the capital of Inner Mongolia, with a visiting professor from the Shanghai Conservatory of Music. At the age of eighteen, Urna decided to leave Mongolia to study at the Shanghai Conservatory of Music – an extraordinarily brave decision, for at the time she did not speak one word of Mandarin Chinese and her family knew very little of Shanghai, let alone its location. With this move, Urna's life and career took a dramatic turn. One Russian music critic named Urna, along with the Tuvan singer Sainkho, one of the "two Asian Divas". In the summer of 2003, Urna sealed her place as a major contributor to world music in Europe when she was awarded the RUTH prize in Germany for Best International Artist. While Urna is rooted in the traditional music of her homeland, she continues to take her music in new directions. Her latest compositions emphasize free, brushstroke-like improvisations, which have been inspired by her recent experiences with other cultures and musicians and her life outside of Mongolia. With this constant yearning to take her music beyond convention, Urna has collaborated with many internationally-renown musicians including the Hungarian violinist Zoltan Lantos, Ramesh Shotham from India, and Muhammud Reza and Saam Schlamminger from Central Asia, and Jerzy Bawol from the Polish band Kroke. Urna's latest recording, Amilal (Life), is a collaborative effort that features accompaniment from the highly acclaimed Zarb percussion masters from Iran, Djamchid Chemirani and Keyvan Chemirani. 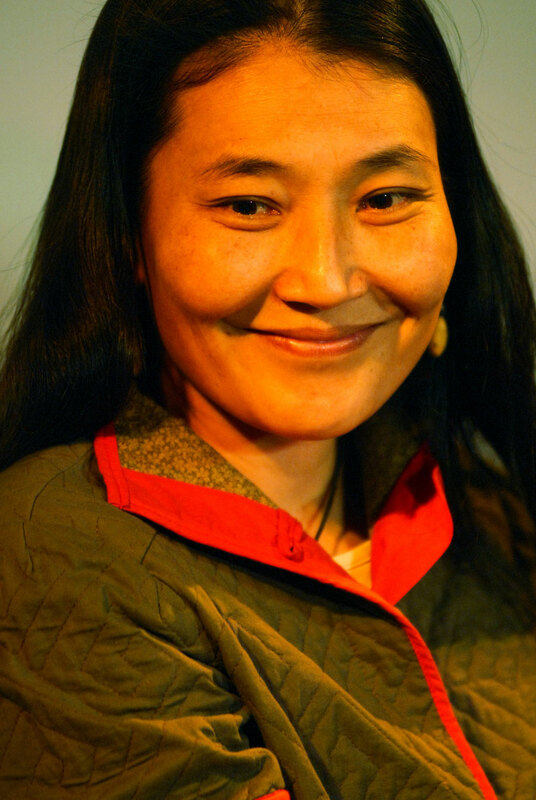 Completed in 2004, Amilal is Urna’s personal record of her travels after leaving Mongolia, and portrays her views of the world and human beings, as well as her wish for a peaceful world. Musically, Amilal is a departure from the traditional focus of Urna’s past recordings, which center on the traditional songs, life and memories of her childhood in Mongolia. With the new compositions on this recording, Urna maintains the dignity and the spirit of a Mongolian while embracing a newly-emerging identity as a “world citizen.” Amilal also features Urna’s frequent and close collaborator, violinist Zoltan Lantos. .